Today, it might not be a big deal for actors to play Mohandas Karamchand Gandhi but there was a time when it was practically unimaginable for any actor to be good enough to play the Mahatma on-screen. 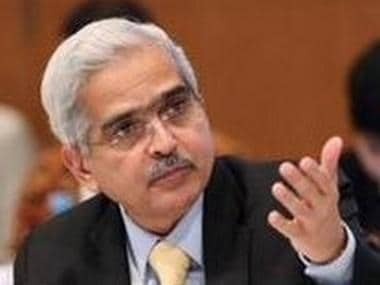 And, ironically enough it is now an ‘actor’ who is best identified with the visual imagery of the father of the nation. Although several actors such as Naseeruddin Shah, Annu Kapoor, Rajit Kapur, Surendra Rajan, Dilip Prabhavalkar and Neeraj Kabi have portrayed Mahatma Gandhi on film, the chances of Ben Kingsley’s image as the Mahatma still popping up in our minds the moment someone mentions ‘Mahatma Gandhi’ remains high. Such is the aura of Kingsley as Gandhi that when a statue of Gandhiji was unveiled in London his great-grandson, Tushar Gandhi, couldn’t help but comment that it resembled Kingsley more than Mahatma himself! 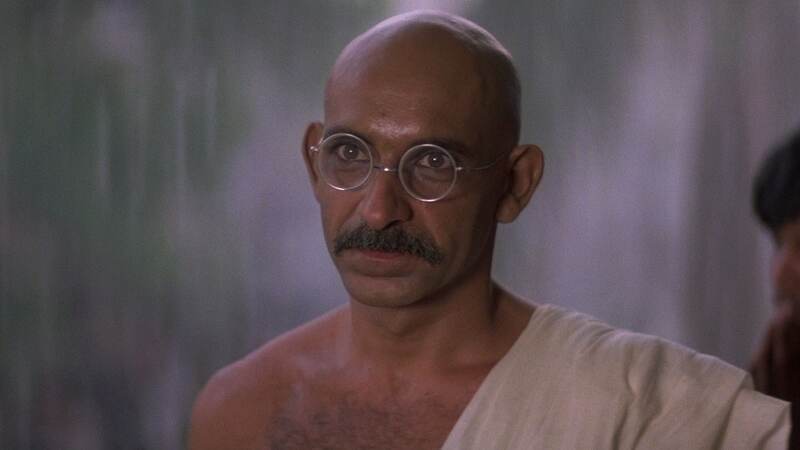 Ben Kingsley in Richard Attenborough's Gandhi. This continued association between Gandhiji and Ben Kingsley could have never existed had the film’s director paid heed to India’s first Prime Minister. In the 1960s when Richard Attenborough began the research for Gandhi (1982) Pandit Jawaharlal Nehru reportedly felt a certain Alec Guinness would be the ideal choice to play Gandhi. Attenborough said that Nehru was clear when he told him that “there was not enough cinematic experience amongst Indian actors in the style of Western cinema”, which he perhaps saw as a prerequisite to fit into the scheme of the production that was being envisaged. One of the reasons why Nehru thought of Guinness could be that the actor had just played a Japanese business Koichi Asano in A Majority of One (1961), later in Lawrence of Arabia (1962) Guinness went on to play the Arab Prince Faisal and finally in David Lean’s A Passage to India (1984) he played an Indian called Professor Godbole. There might not have much shock or for that matter even surprise at the thought of an American actor or any white man playing Mahatma Gandhi when Attenborough was casting. Kingsley did not really have anything to model to his portrayal of Mahatma Gandhi upon as up until then the only actor to have probably portrayed Gandhiji on screen would be J.S. 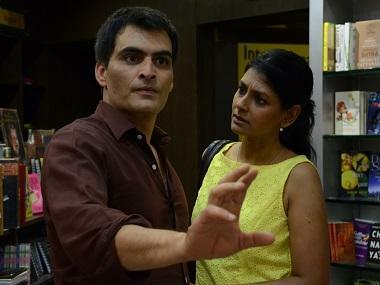 Casshyap, an Indian who played the Mahatma in the film based on Stanley Wolpert's book Nine Hours to Rama. Between Attenborough’s Gandhi and the late 1990s, Kingsley’s shadow on Gandhi as an on-screen character was inescapable. Kingsley’s Indian origins notwithstanding he was practically an alien for most Indians, as an actor at least, and this somewhere added to the mystique to the notion of playing Gandhi to perfection. Sam Dastor, a Parsi born in then Bombay and studied at the Royal Academy of Dramatic Art (RADA) before joining the National Theatre under the direction of Sir Laurence Olivier, also played Gandhi in Lord Mountbatten: The Last Viceroy (1986) and later in Jinnah (1998) but it was only towards the 1990s when three performances by Indian actors finally demystified playing the Mahatma as a character. Annu Kapoor’s Gandhi in Ketan Mehta’s Sardar (1993), a biopic of Sardar Vallabhai Patel followed by Rajit Kapur as Gandhi during his 21-years in South Africa in Shyam Benegal’s The Making of the Mahatma (1994) transformed not just the character but also the way an Indian actor would approach it. Kapoor’s Gandhi was more classical, studied while Kapur’s Gandhi being sans baggage was comparatively liberating. It was also during this period that Naseeruddin Shah finally got this shot at playing Gandhi not once but twice; in playwright Feroz Khan’s stage production Mahatma vs. Gandhi (1998) and Kamal Haasan’s Hey Ram (2000). Intriguingly enough, Shah reportedly couldn’t spare time to play the lead in The Making of the Mahatma and even passed playing Gandhi in Jabbar Patel’s Dr Babasaheb Ambedkar as he felt the role was too brief. While Rajit Kapur filled in for him in Benegal’s film, the late Mohan Gokhale played Gandhi in the latter. Shah’s Gandhi in Hey Ram was very different from Kingsley’s version and perhaps being familiar with the nuances of the local dialect, Shah’s voice had a more pronounced Gujarati twang too. In the 2000s many actors played Gandhi and each brought out certain facets of the icon’s persona. The most publically notable version was portrayed by Dilip Prabhavalkar in Lage Raho Munna Bhai (2006) that underscored Gandhi’s resolute calmness and popularised ‘Gandhigiri. Surendra Rajan played Gandhi in Veer Savarkar (2001), The Legend of Bhagat Singh (2002) and Netaji Subhas Chandra Bose: The Forgotten Hero (2005). The portrayal that truly stood out in the 2000s would perhaps be Darshan Jariwala’s in the film version of the play Mahatma vs. Gandhi that was called Gandhi, My Father. A lavish production that also featured a brilliant performance by Akshaye Khanna as Hiralal Gandhi, the son of Mahatma Gandhi, but the film was a let down when it came to translating the father-son conflict. Despite being replete with readymade drama the translation to screen needed something more than just being well written or authentic costumes et al. Playing Gandhi on film or the stage has come a long way. In her book Reel History: The World According to the Movies Alex von Tunzelmann recounts how Attenborough lost his cool and lamented – “I’m not making a movie about f*****g Tinkerbell” – when the “guardians of Gandhi’s legacy” felt that the saintly Mahatma should perhaps be shown as a ball of glowing light. Some actors such as Ben Kingsley made the most of the one-shot they had, some like Naseeruddin Shah, Neeraj Kabi (played Gandhi in Viceroy’s House and the TV series Samvidhaan) became better by playing him more than once and some unlikely choices such as the six feet two inches tall Boman Irani packed in a punch by playing him to near perfection even at 80 kgs! On the face of it not much seems to be left to explore in terms of portraying Gandhi but with a life such as the one the Mahatma lived, we might have barely scratched beneath the surface.